I’ll let you in on a little secret about Women & Guns—things don’t always go according to plan. It had been my original plan to supplement our Contributing Editors’ “Products That Made a Difference” on Page 31 with a feature about some of the women who also made a big difference to women gunowners in the last 25 years. But I ran out of time to call a few of them up and I ran out of room to do the idea, and especially them, justice. In the sports category I was going to track down Margaret Murdock, whose singular achievement in then-open rifle took place at the 1976 Olympics, well before the magazine was conceived of. It was my great honor to meet her many years ago, introduced by her sister at either a SHOT or NRA Show. You should, as they say, look her up. Even so, I’m not sure a Wikipedia entry would do her justice. I was going to try to check in with Kim Rhode, one of America’s greatest Olympians, who sadly, is not very well known outside of the gun fraternity (or is that sorority?). I met Kim first when she was a young teenager on her way to her first Olympics. She’s been to five now and medaled in them all—the only American to ever do so, and one of only a handful of athletes worldwide who can make that claim. 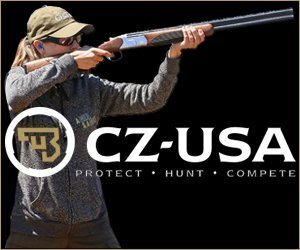 If there was time, I’d contact some of the people who have had an impact on women in the shooting sports at a less exalted level—but who helped bring a new generation of women to the sport. People like Sue King, who innovated the Women’s Charity Classic series. People like Katie Ferraro Creigh (aka Justice Lily Kate) who brought women into the Cowboy Action (CAS) fold. In politics, I’d check in with Marion Hammer, Sandy Froman and Tanya Metaksa, all movers and shakers in the National Rifle Association. Hammer and Froman have served two terms each as president of that organization. Metaksa led its Institute for Legislative Action. I also wanted to talk to Suzanna Gratia Hupp, who, a few years back at a gunowner rally in Harrisburg, PA, I called the Rosa Parks of the gun movement. Without Hupp, not just Texas, but a host of other states would have been further delayed in getting Shall Issue handgun licensing. In the business category, there were people like Donna Bianchi, Margaret Hornady and Barbara Skinner to talk to—women in the gun business before there were so many women in the gun business. Maybe I could have connected with a few women dealers, like Robin Ball, who have sat behind gun counters, attended gun shows, balanced the family’s business books and more. Having done all that, I was going to reserve some space back here in my own column for some personal heroines. So I’m going to have to be quite a bit briefer than I’d like. My mom’s not a gun person in any traditional sense. But she’s probably attended more gun functions and cooked dinner for more gun rights activists than most. She’s led by examples that included stories of reading “Knights of the Round Table” (with the Wyatt illustrations) under the covers because she was told girls didn’t read those kinds of books. My sister and I never thought anything from Barbies to bazookas were off limits. I was going to personally thank two women who used to hang out in our pages—Sheila Link and Gila Hayes. I even saved one of Diane Walls pictures of Gila from her Farnam story to use. Sadly, there’s no room for that either. But both women, in different ways, guided me and this magazine for many years. I was going to mention a couple of really good friends who I met because of Women & Guns and who I communicate with weekly and sometimes daily—and with whom I almost never discuss guns any more. Stacey Knox’s last name is probably more infamous than my own in certain circles, and maybe that’s why, despite a lot of other differences, we’ve always gotten on. Susan Laws has moved on from being active in the CAS world, but there’s not usually a day we don’t touch bases on weighty matters like who’s the best on-screen Sherlock Holmes. I was also going to talk about my good friend Sherry Collins, who I first met on the telephone when she called me up to ask me what to wear to a machinegun shoot to be held in conjunction with the 1988 Gun Rights Policy Conference. At the time she was working for S&W, and she later moved on to a couple of other gun companies. We talked almost weekly, even though she was retired. We hardly ever talked “business,” but we shared a common language about so many things. Sadly, the day before I sat down to write this I got the very bad news from her husband, Tom that Sherry had died on Dec. 8, after a lengthy illness.